The history of a book isn’t captured merely by the background of the author or its publishing date or its written content. Most books were purchased and read by someone; they are from a specific time and place. That too is part of each book’s history. Sometimes in digitizing books we find pressed flowers or a single leaf or pieces of paper that were used as bookmarks then forgotten. We even found a desiccated chameleon in one book. When we find something like that at the Internet Archive’s Digitization Centers, we digitize the object because it is part of the history of that book. We see our mission to be archiving each book exactly as it was found, so that when you flip through a book, you are seeing it as if you had the physical copy in your hands, not just black text on a white page. Take for example this book from the Lincoln Financial Foundation Collection: The Life and Speeches of Henry Clay. In the chapter on Clay’s speeches, you can see what Abraham Lincoln highlighted, points he thought worthy of noting. In fact, by seeing what Lincoln underscored as he read this book and by reading his notes, you get a glimpse into what may have shaped his ideas; how he might have then used certain concepts to express his thoughts and policies about slavery and its abolition. The history of this book, which was held and read and annotated by Abraham Lincoln, had a direct effect on the history of this nation. A historic book that also has a history of it’s own. 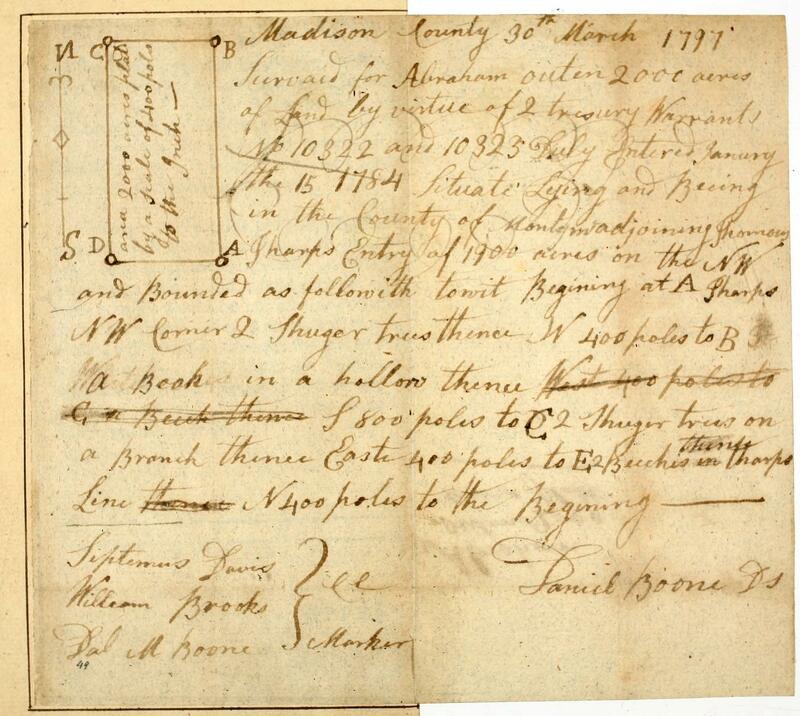 In another we found a promissory note by Aaron Burr from 1796 for a large sum of money. Burr was a controversial person to say the least. He was not only a Revolutionary War hero, Thomas Jefferson’s Vice President and a presidential candidate himself, but also the man who shot and killed Alexander Hamilton in a duel. Once someone at the University of Pittsburgh contacted me regarding an item a digital reader had made them aware of: a previously unknown, original survey report written by none other than Daniel Boone! He asked me if I knew anything about it. 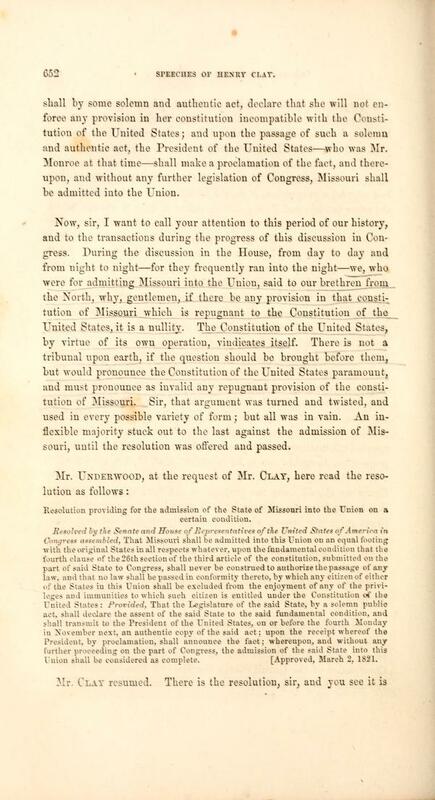 I verified that we had found and digitized it–along with the note by Aaron Burr and the letter by William Henry Harrison. I got a shocked reply, “Where? ?” Apparently digitizing not only opened up access to these books, it also rediscovered long-lost manuscripts stuck between the pages, penned by important figures in American history. The history of these books turned out to contain the history of this country, highlighted in a very personal way. Whether it is someone pressing a violet between the pages, Abe Lincoln researching abolition, or a forgotten survey report by Daniel Boone, sometimes the material we digitize can bring our past alive. What will you discover lodged between the pages in our three million digital books? Take a tour of the Midwest Regional Digitization with Jeff Sharpe in this recent video. Jeff Sharpe is Senior Digitization Manager for the Midwest Region. Jeff’s work experience in administration and research led him to the Internet Archive’s digitization center in the Allen County Public Library in Fort Wayne Indiana. He’s proud of his role in helping to bring well over a hundred thousand books online for universal access, including more than fifteen thousand items digitized by volunteers at the Midwest Center. Jeff is a voracious reader and loves books. He has a passion for history and archaeology– particularly from the Mayan civilization which has led him to travel extensively to Mayan ruins. He enjoys among other things bicycle riding, gardening, and hanging out with his wife, two kids, and their two dogs. So glad to see this blog about Jeff and his digitization center! He is a true professional and always goes the extra mile for our partners. The collections he and his team have brought online, have helped thousands of researchers, as like many other collections we digitize at the Archive. Bravo, Jeff! Wow…that is amazing stuff. Is there one site to visit to see this stuff accumulated? Wow, I love this stuff. Thank you. Thank you so much for posting this video. I was wondering how the images were being created and now I know. I think Internet Archive and Open Library are the greatest ever! I tell everyone I know about them. Recently I was able to introduce Internet Archive and Open Library to over 200 retired people at a talk all at the same time. They were so interested and couldn’t wait to go home and access the book images. I wish I knew about the Lincoln Library before I did my talk. They would have been even more impressed. Thanks again, everyone, that makes this great thing possible! I love the Internet Archive!!! Very interesting video! I use the Internet Archive all the time, for serious reading, for browsing, and also for just dinking around. Thanks so very much for all that you do. You are appreciated. Great work connecting readers to previous readers and authors. An example of connectives? Dear Jeff This is very impressive and your doing very important work! You’re also great on camera not any easy thing to do. Great to see your success helps the world learn what maybe they had forgotten from their studies or maybe even never learned. I’m proud to see my old high school friend doing a fine job.